I'm supposed to be spending a week in Chicago with my fella soon. So, of course, I'm catching up on laundry and obsessing over what to tell my house sitter (thanks, Mom!). I'm a bit of an odd duck, so a traditional house sitting check list has never really fit the bill. The last time I needed a house sitter, instead of plants I was concerned about a homemade batch of sauerkraut. A notepad on the fridge literally said, "Feed fish. Burp sauerkraut". And that was that. 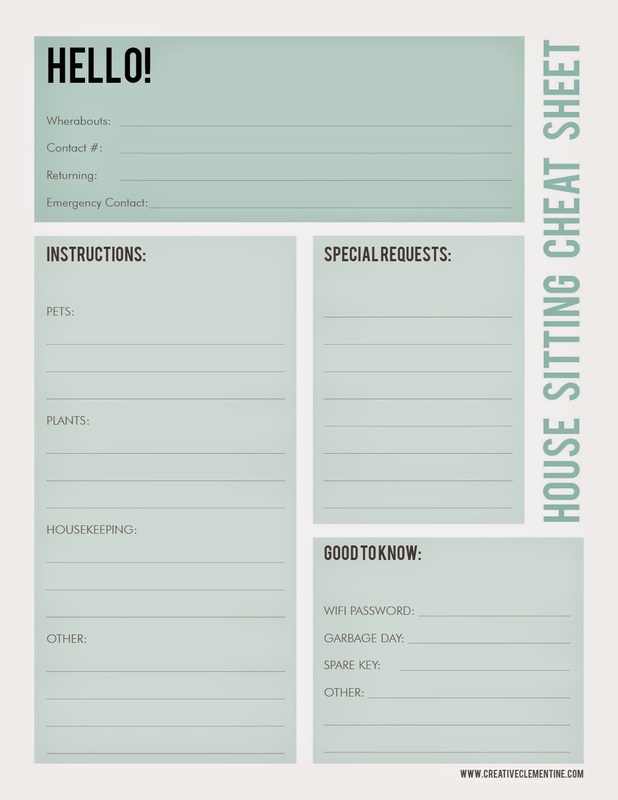 Now that I'm all grown up and stuff, I figured I should plan ahead for proper house sitting. Even if the sitter is my mom. That's where this super fun printable comes in. I even left myself a section for special requests. You know, in case of sauerkraut. This is great. 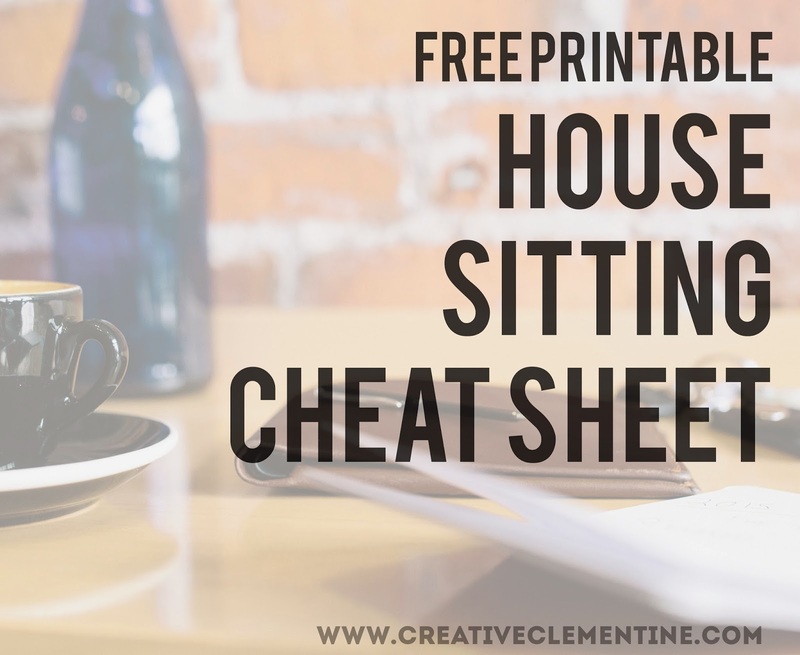 I pinned it to my Free Printables board. Our daughter and son-in-law usually house sit for us but she always asks me to leave her a list. We are so glad you shared with us at the Merry Monday party! We can’t wait to see what you’ve been up to at our next party! This is such a thoughtful idea! I love the colors you used and the the "good to know" column is so genius. I've downloaded this and will be sharing it soon! It's such a helpful printable and I'm glad I came across it today :) Thank you for sharing! I have house sat without knowing the wifi password far too many times to do it to someone else!! Hope you make good use of the printable! This would definitely come in handy! Thanks so much for sharing at Totally Terrific Tuesday! I hope you stop by to link up with us again this week. Remember the party starts tonight at 10pm! This is such a great idea! I've house sat before and had notes left on little post its everywhere. Everything in one central location would be such a huge help! Thanks so much for linking up with Talented Tuesday and we hope to see you again this week!